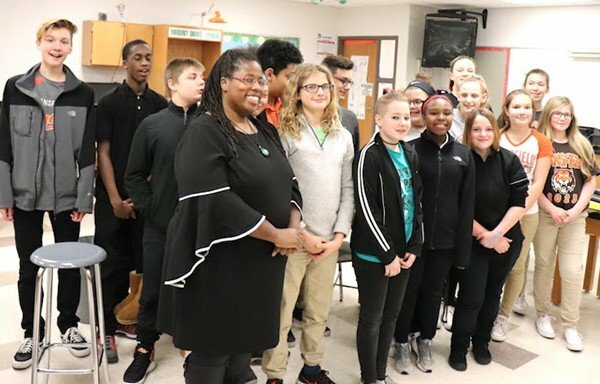 A teacher who “is constantly striving for effective ways to reach all learners” is Mansfield City Schools’ Every Student, Every Day Champion for February. Stephen Rizzo, the district’s chief academic officer, congratulated Williams-Payne and said she will be recognized at the board of education meeting on March 20. In the photo above, Veronica Williams-Payne stands with her former science students at Mansfield Middle School.